Posted by Mastura Zaini-Roberts on Monday, June 19th, 2017 at 9:45am. 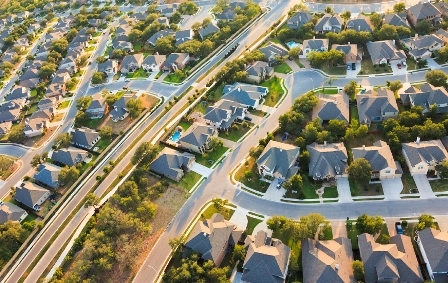 “While the recovery in home prices reflects a welcome pickup in demand, it is also being driven by very tight supply,” says Chris Herbert, the Center’s managing director. Construction has grown for the past 7 years but remains below the 10-year average for any decade since at least the 1970s, especially for single-family homes. “Any excess housing that may have been built during the boom years has been absorbed, and a stronger supply response is going to be needed to keep pace with demand—particularly for moderately priced homes,” added Herbert. Meanwhile, the downward trend of homeownership rates may be levelling off, the data shows, and the Center is forecasting a sharp rise in demand in the years ahead, despite challenges of affordability. This will be driven by first-time buyers from the younger end of the Millennial generation reaching their late 20s and early 30s and deciding that it is time to buy a home. Some will choose to rent, and this sector is also predicted to soar. The report suggests that the demand may differ from that of previous generations reaching this life-stage. That’s due to Millennials being the most racially and ethnically diverse generation in the nation’s history. Demand will grow for a broad range of housing types and locations and Baby Boomer will continue to play an active part in the market, with investments in both new and existing homes as their needs change with aging. “Meeting this growing and diverse demand will require concerted efforts by the public, private, and nonprofit sectors to expand the range of housing options available,” says Daniel McCue, a senior research associate at the Center.